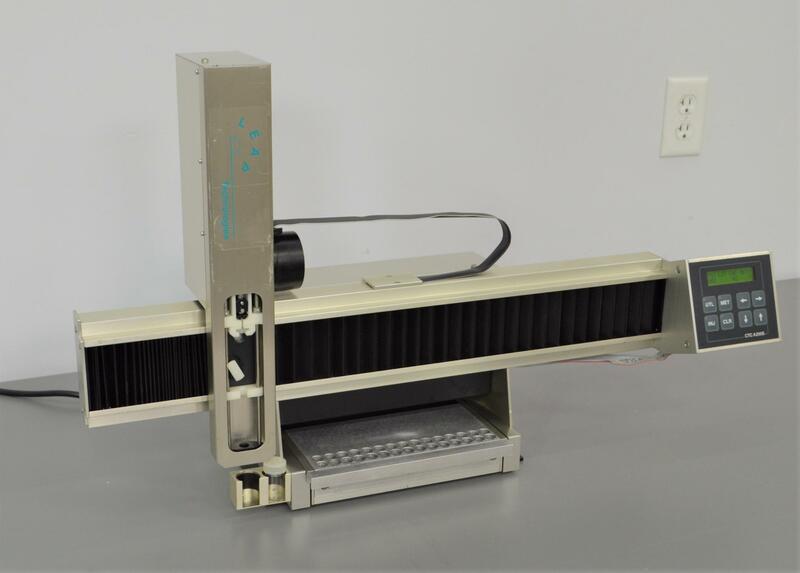 Leap Technologies CTC-A200S Liquid Autosampler Robot Handler CTC Analytics . New Life Scientific, Inc.
Our in-house technician inspected and tested this Leap Technologies CTC-A200S Liquid Autosampler, confirming it to be functional. Technician tested arm movement and injection components, and found no issues.